Sweet, heart wrenching and real. The story of October is simple because truly it can happen to any one of us. Dan is working to earn his Five Star Hotel diploma but you can quickly see that he is not settled and is seeking more. Somehow, he always found the reason for conflict in Shiuli and very few can understand his compassion for the girl lying in a deep coma. Varun Dhawan was not the first choice for the role of Dan, but producers Ronnie Lahiri, Sheel Kumar and director Shoojit Sircar locked him down when they met Varun in a regular looking avatar. This has been Varun Dhawan’s best work. In fact, my favourite scene is when he is looking outside the hospital window at the back stairs and crying, you feel Dan’s pain and dilemma. Banita Sandhu who is Shiuli hardly has any conversational scenes, but sitting still staring and being a patient must have drawn every inch of restraint and acceptance that this is not some glamourous heroine opportunity for her debut film. Actually, it is Gitanjali Rao who plays her mother, who is the real heroine of the story. She is superb as your regular mum facing the impossible choice of whether to pull the plug on their daughter’s life. Shoojit Sircar is known to give cinema a real look and ever since directorial hit Vicky Donor, he has never looked back in making the best of an everyday situation. He is fortunate to have the producers Ronnie Lahiri and Sheel Kumar who have the same vision and faith in cinema and have supported him since his early days. Writer Juhi Chaturvedi is an able writing partner, because she has worked with him on Vicky Donor and Piku. This pair knows how to simplify a story. The cinematographer Abhik Mukhopadhyay showcases the night jasmine flowers, the hospital scenes and Manali as never seen before. You do get a few glimpses of the film Hamari Adhuri Kahani in relation to the landscapes and flowers. 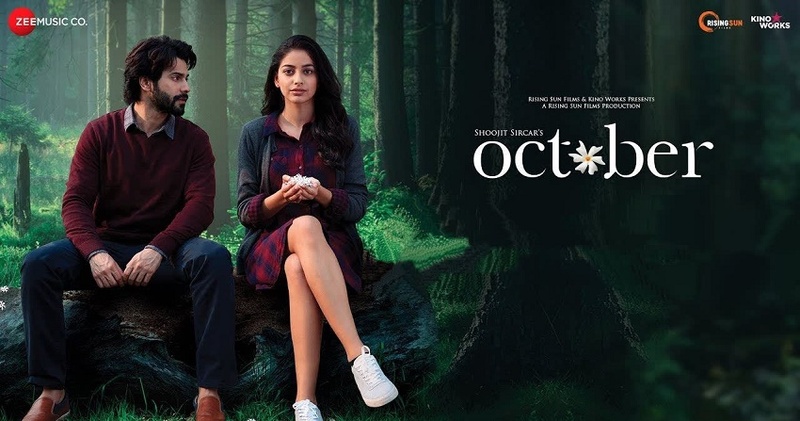 October will be remembered as a career best for Varun and Shoojit Sircar. Harleen Jabbal is a Bollywood film writer and critic for her blog FilmiVeryFilmi.